Tesco's like-for-like sales, excluding petrol and VAT, have declined for the fourth quarter running in the UK, with the supermarket recording a 0.9% drop for the 13 weeks ending 26 November. The supermarket giant experienced the like-for-like sales decline as UK consumers came under pressure from rising unemployment, falling real wages and increased living costs. Like-for-like sales, including VAT and petrol, were up 3.4% in the period, but excluding petrol, growth was 0.1%, representing a slightly stronger growth rate than in the second quarter. There was also continued improvement in the company's global sales figures, with the interim report recording growth of 7.2%, including petrol, while total sales including VAT and petrol grew by 6.7% and by 3.7%, excluding petrol. Despite continued weak demand levels in general merchandise, clothing and electricals, Tesco still showed improvement in these areas after changes it made to a number of its Extra stores. In the report, the retailer claimed the 'Big Price Drop' initiative it launched in September had a "deflationary effect", significantly reducing the rate of inflation in the business. It said it would continue to lower prices with the aim of driving more volume growth through its stores. Philip Clarke, chief executive at Tesco, said: "We have made good progress in our third quarter against the background of challenging conditions for consumers in many of our markets. In the UK, our increased investment in the shopping trip for customers is starting to deliver." He added: "The 'Big Price Drop' campaign, now in its second phase, has lowered prices significantly for hard-pressed families and we are now being rewarded with stronger food volume growth. "We are also seeing positive customer reaction to the improvements in our general merchandise ranges. Whilst I am pleased with these early signs of stronger performance, a great deal more remains to be done and we are confident of delivering further improvements as we implement our plans." 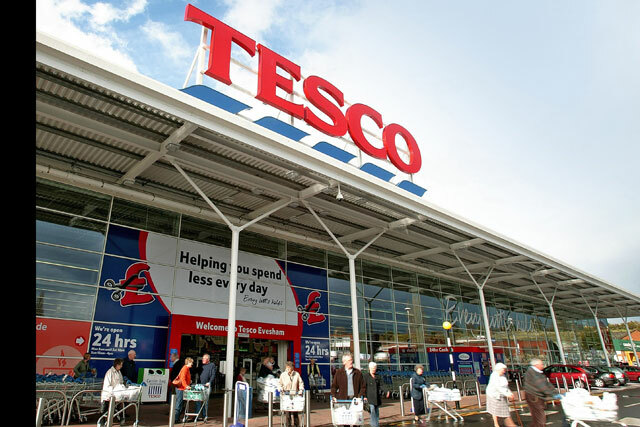 In October, Tesco reported its first like-for-like sales decline since 1991, with a drop of 0.5% in underlying sales in the UK for the six months to 27 August.